In the first post in this series we looked at using System on Chip technology to save time in developing an embedded system. In this posting we look at the use of hardware reference designs. Another resource that can save development time is a reference design that uses components you want to use in your system. These reference designs are typically provided by a semiconductor vendor but were designed by a third party. A good reference design will at least include a working board, schematics, and physical design files that allow you to build your own hardware based on a working design. This can be a real time saver. Occasionally the source schematics are included and if you use the same schematic capture tool you can save a lot of time that would have been spent creating symbols and drawing schematics. Most often though the schematics are in PDF format. Sometimes you can get low level firmware, software drivers, codecs, or even higher level software included in a reference design. A good reference design board will allow software developers to get going with a lot of their low level software and firmware before actual hardware development. A working reference design board can also allow experimentation and verification of things like a critical task’s real time performance capability, boot up and reset issues, and power and thermal issues. There are tests you can run in seconds on a lab bench that are not practical in a hardware simulator. There are important issues to consider when using a reference design. A thorough design review of the reference design is necessary to avoid problems later on. The assumptions for acceptable design practice made by the developer of the reference design may not be the same as yours. Find out this stuff up front, not via a call from an angry customer. Also, carefully check any licensing issues or terms and conditions for copying a reference design. Hardware licenses can be different than software licenses because they are based on patent law not copyright law. It’s important to know the difference. A patent based license can control the use and manufacturing of your device based on their design documentation. A copyright based license just controls the distribution of the design documents. Having a lawyer review the license up front is always a good idea. When discussing rapid development of complex embedded systems the issue of using third party hardware and software building blocks inevitably comes up. There are a lot of options and issues when it comes to using embedded system building blocks. Nobody wants to re-invent the wheel but picking the wrong wheel can overturn your chariot! In this series of posts we will look at some options and issues for speeding up hardware development using different building blocks. In a later series we will look at some of the software issues. Semiconductor vendors offer an amazing range of System-On-Chip (SoC) devices. Choosing the right SoC can really shorten development time if most of what you need is already in the silicon. A critical area that is sometimes missed though is an analysis of how your system’s desired performance running your application compares to the SoC’s likely performance running your application in your system. What parts of an SoC you use and how your traffic flows affects performance. How your system is physically partitioned and how you interface the SoC to your system can also have dramatic effects on performance. The thermal environment in your system can impact how much performance you can squeeze out of an SoC. If you develop an FPGA based SoC for your system you can use some pretty powerful low-cost vendor provided design tools and no charge (nothing is totally free my friend!) FPGA vendor cores. These cores can be a big time saver in chip design. The FPGA vendor has knowledge of its cores, tools, and silicon so they can help with development problems at a deeper level than a third party core vendor. Also, your interests and the FPGA vendor’s interests are aligned. They want you to get to market as fast as possible so they can make money too. Be aware FPGA vendor core licenses often specify you can only use them in the vendor’s chips. This can present problems if you want to port your design later. It’s best to study the license details and be up-front with the FPGA vendor on what you plan to do. In our next post we will look at the use of hardware reference designs. The Wall Street Journal recently ran a story called “Building Your Own Cloud” by Joanna Stern. It’s a fun, well written piece. I would link to it but it is behind their pay-wall unfortunately. It talks about purchasing commercial Network Attached Storage (NAS) servers called Personal Cloud systems and using them on your home network. The author reviews offerings from Western Digital and Seagate and discusses her experience with these off-the-shelf solutions. The systems she reviewed run about $300. We found two things we particularly liked about the above instructions. First, the use of NTFS formatted disks so we can always unplug one of the USB hard drives from the Linux based Raspberry Pi and plug it into a Windows computer. This was very handy in initially transferring files to our NAS. Second, we have to share files between both Linux and Windows machines so Samba was a good choice for our network share software. We decided to build 1 TB of redundant storage into our NAS. We used two Seagate Backup Plus Slim 1TB portable hard drives ($64 each), a powered USB hub ($8 – $12), and a Raspberry Pi ($35) running the Raspbian operating system. 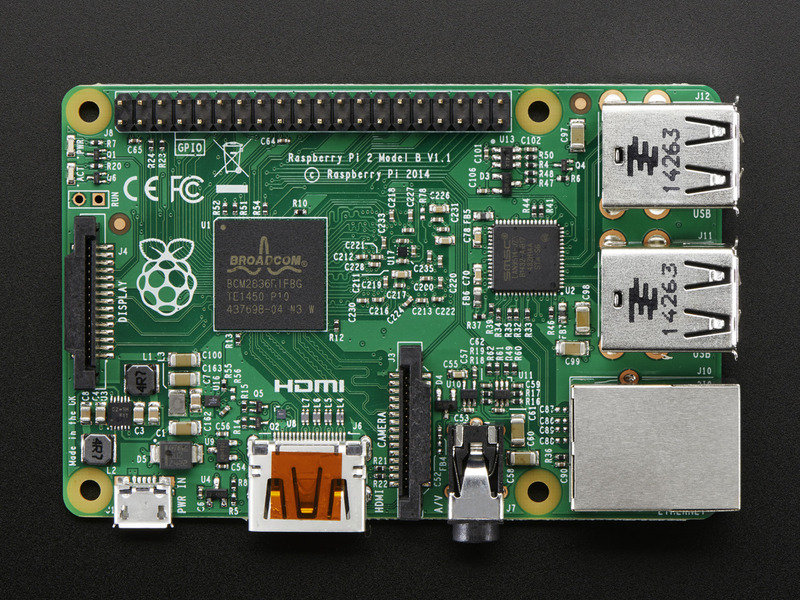 We recommend using a powered USB hub to connect the USB hard drives to the Raspberry PI as the drives drew a bit too much current for our Pi to source via its USB ports. So we built a 1 TB redundant NAS device for about $175 in a couple of hours. We attached our NAS to our network using a Fast Ethernet connection on a nearby Ethernet switch.